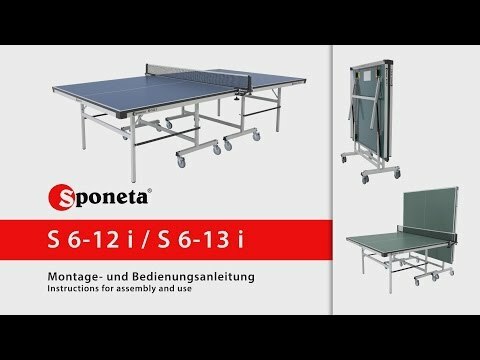 The Sponeta Match Play 22 Indoor Table Tennis Table is a 2-piece table with a clamp-on net and post set that must be removed when folding. The benefit of this design is that it takes up less storage space than a traditional rollaway table. The frame is strong and allows for playback (solo practice), it has fully rotational wheels with brakes, and leg levellers.